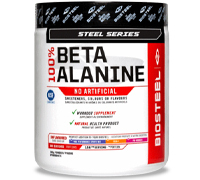 Beta Alanine is a high-performance supplement that has been specifically formulated for any workout or exercise. All-natural BioSteel Steel Series Beta-Alanine is a beta amino acid that enhances performance during intense exercise and is a perfect addition to your BioSteel favorites like the High Performance Sports Drink Mix, Pre Workout formula, or BCAA+. 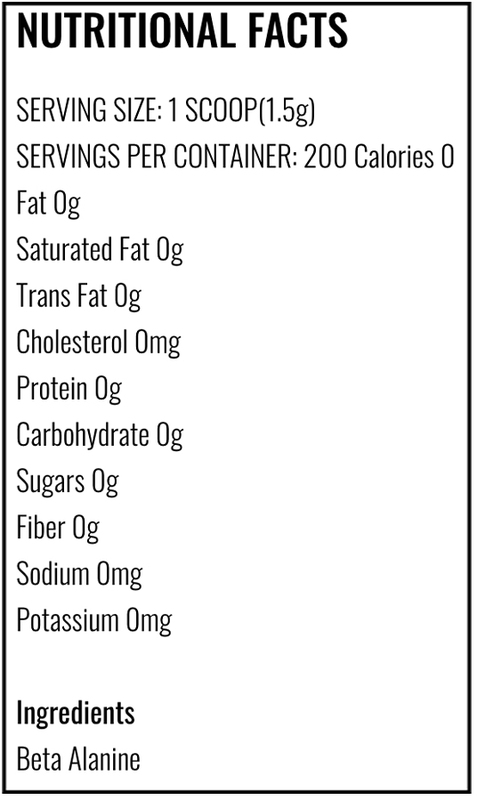 is Dairy Free, Vegetarian Friendly, Gluten Free, Soy Free, and contains no Artificial Colours, Flavours or Sweeteners. Adults: mix 1-2 scoops with 250-500 ml of water.